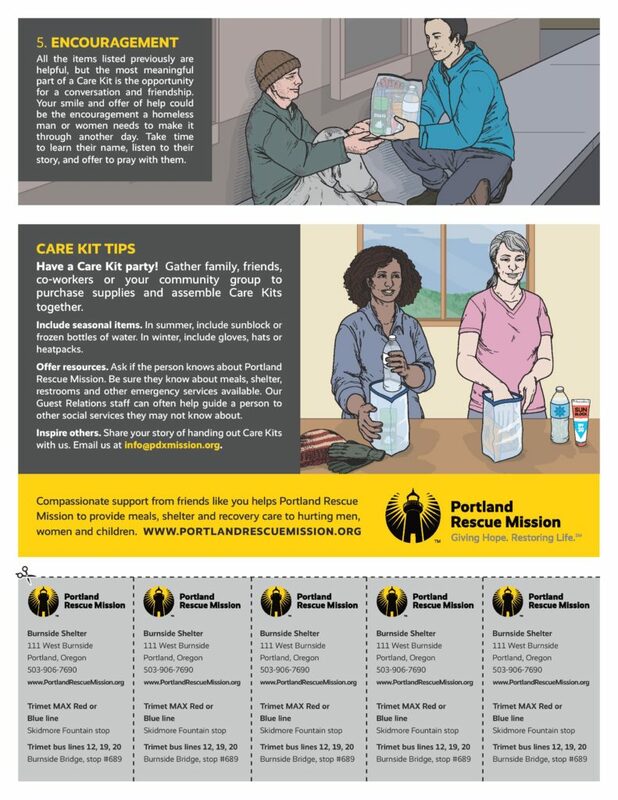 I owe the specifics of these care kits to the Portland Rescue Mission. 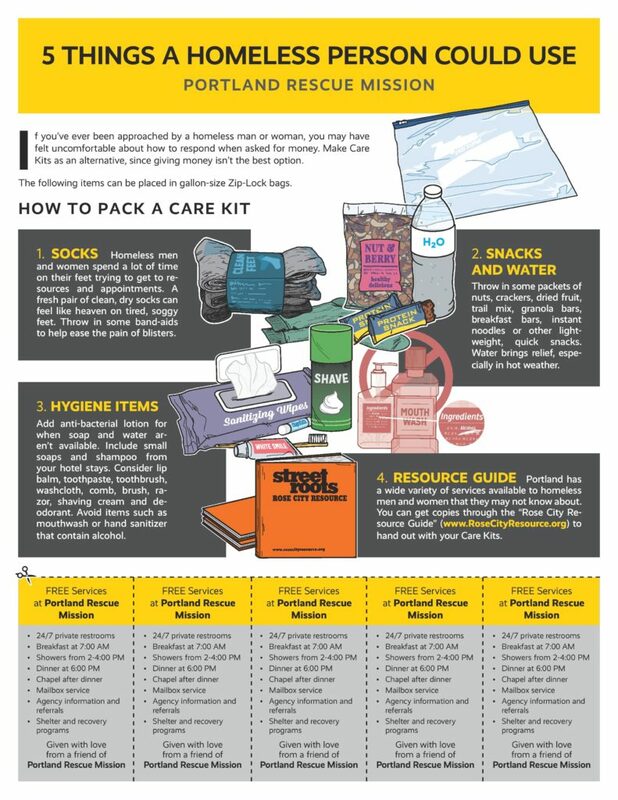 Despite the fact that the price for putting these kits together was a little steep (around $200 for roughly 10 people) I pushed myself over the edge of miserliness and did it reflecting on the fact that the only thing we can take with us is our kamma. I hope to assemble the kits with my kids this weekend and I’ll take a picture of the end result. Until that time I’m going to try to engage more with the people I meet on the street and trains to really practice heartfelt dana parami and metta parami.